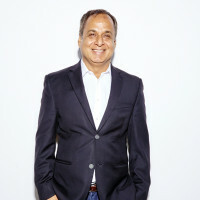 Vijay Sehgal heads the feasibility and exploratory phases of work for FSY and is particularly accomplished in the programming and master planning stages of development for a variety of national and international projects. This affords him a global perspective across a cultural exchange of ideas while exploring the vision for the project. He is a registered architect with the state of California and has been in the profession for almost 30 years. Vijay’s extensive knowledge in all facets of the architectural process and a proven record of providing integrated technical, scheduling and cost management expertise has resulted in a portfolio of projects that are high in performance. His keen sense for balancing client needs and budget constraints has created many successful projects that are a testament to design excellence. Vijay is also expert at mitigating risk through the careful facilitation of various stakeholders. Whether jurisdictional agencies or interest groups that include local governing boards, commissions, neighborhood councils or user groups, he is able to strategically guide the project through critical decision making processes. Vijay is a consensus builder with great success; bringing complex projects to fruition from the entitlements phase to planning and on through the design and construction phases. As a core value of the Firm, Vijay has brought sustainability to the forefront of the firm’s agenda. His commitment to ‘green’ building runs deep within his philosophy of maintaining and creating healthy living environments for future generations. Currently he is directing the design of two projects that are slated for LEED platinum certification and zero-net energy goals.